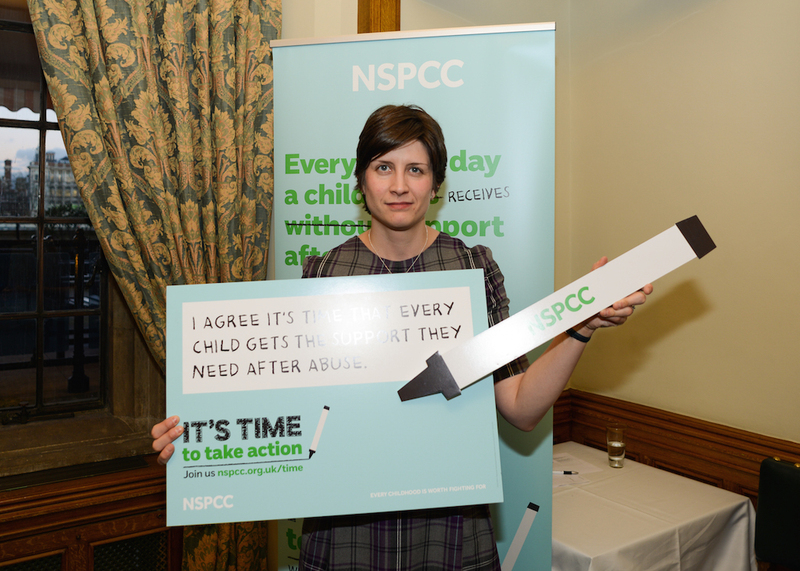 Alison Thewliss MP has shown her support for the NSPCC’s It’s Time campaign after hearing about the scale of abuse young people in the UK experience, and the problems many face getting the kind of help that can turn their lives around at the NSPCC’s reception in parliament on Wednesday 10th February. Karen Bradley MP, Minister for Preventing Abuse and Exploitation, and Rt. Hon Alistair Burt MP, Minister for Community and Social Care, joined the NSPCC CEO in speaking at the launch and Alison Thewliss MP also heard first-hand from young people who have helped shape the campaign. All too often children who have been abused have to develop chronic mental health problems, be suicidal or self-harm before therapeutic services become available to them, according to a recent survey of professionals working with these children. One of the young people who sat on the campaign advisory group, ‘A Force for Change’, said that support should be provided “at the point of need not the point of crisis”. He welcomed the Government’s commitment to invest £1.4 billion into children’s mental health services but said: “This money can only be spent once; it is crucial that a portion is made available for abused children. We’re calling for long term investment in support services for children who’ve experienced abuse, government to produce clear guidelines on when a child should be offered therapeutic support, more research into the scale of the problem, as well as what type of support works best.